I was very touched and challenged today by a song that was sung as a prelude to worship, “Is There Room in Your Heart” written by Matt Maher and recorded by Casting Crowns. It’s the Christmas season and we have been reading and reflecting on the story of Jesus birth in Luke 2. It’s amazing how the well-known story can be so fresh, relevant and inspiring. Mary and Joseph were a young couple weary from traveling, in a city one hundred miles from home, desperately needing the privacy of a room. You see, Mary was not only tired but the tightening of muscles across her belly indicated that her baby would be born very soon. They urgently needed a room and there was none. The sympathetic innkeeper gave what he thought he could, a resting place in the stable. He did not know that he would be hosting the Son of God or he may have made room in his already crowded home. He could have boosted to his friends his part in the marvelous story that unfolded that night. Instead, the animals shared their space and gave silent witness of God’s miracle, their manger filled with their evening meal of hay became his bed. Will you allow the Son of God to live in your heart? You have to answer that question. The Son of God wants to dwell in your heart. 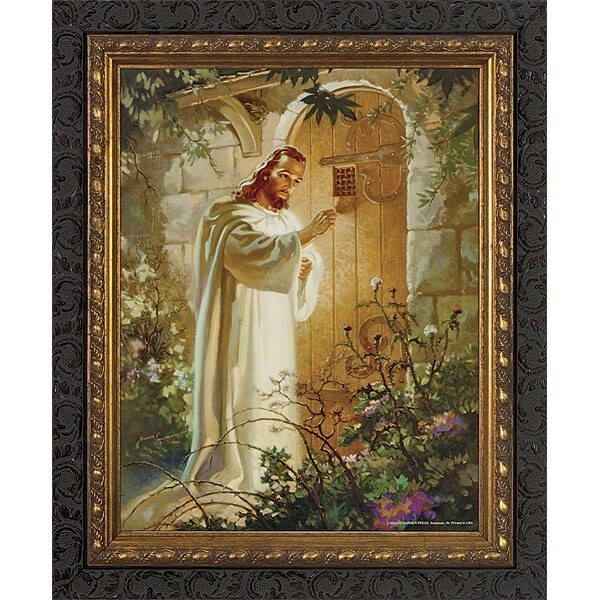 Jesus does not push his way in, He only comes when invited and you have to open the latch. Living in your heart means that Jesus dwells there. He is a part of everything you do. He will feed your hungry soul with the bread of life and satisfy your thirst with living water. The Bible is the Word of God and tells us how to know and receive God. The Bible is divided into two sections: the Old Testament and the New Testament. The Old Testament is the story of creation and God revealing himself to sinful man. It foretells the coming of the Messiah, the Son of God. The New Testament is the fulfillment of God coming to earth. The books of Matthew, Mark, Luke and John tell the story of Jesus birth, life, death and resurrection. The rest of the books explain the coming of the Holy Spirit and the birth and growth of the early church. It gives divine guidance for Christians today and points to the time when Jesus will come again in the grand finale of history, redeeming the church. The words are true, living and offer eternal life. Jesus said, I am the Bread of Life and the source of Living Water. Come to me and I will satisfy your deepest longings and thirst for eternal life. Is there room in your heart for God to write his story? Today a friend called and we exchanged the normal “how are you today” greetings. Then she said, “do you really want to know how I am?” She dared to give me a glimpse into her soul and what she is dealing with. Just this past week I had stumbled across a note written in my Bible. “Faith is not a bridge over troubled waters but a path through it.” For the last week I have been mulling this over in my brain. In 1970 my high school graduating class choose “Bridge Over Trouble Waters” by Paul Simon as our class theme song. As I have matured and struggled along the path of life’s journey I have come to realize that this may be a nice sounding song but the reality is there is usually no mystical bridge over troubled times in our life where all my dreams come true and the stars are shining. Neither can I lay myself down so that a “silver girl can sail on by”. No, we each have to brave the current, wade into the deep and take the path that goes directly through the frothy, white water rapids. 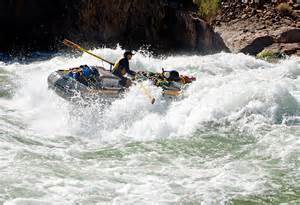 It may be the ride of our life with the boat careening out of control and banging into rocks. There may be times when we wonder if we will make it through or become trapped under our capsized canoe. We may feel helpless, lonely, discouraged and fearful. Maybe we need a friend who doesn’t sail behind us but walks beside, shining a little light on our path; praying, encouraging, helping and cheering. I love the words to the popular song by Casting Crowns which so much so poignantly speaks to God’s presence our lives in the midst of the storm. But once again, I say, “Amen” and it’s still raining. And praise the God who gives and takes away. You never left my side and though my heart is torn I will praise You in this storm. Faith grows when we go through something. Faith happens when I release my inability to control to my Heavenly Father. God promises His presence and in His presence I find strength, peace and security. Isaiah 41:10 Fear not, for I am with you. be not dismayed, for I am your God. I will strengthen you, yes, I will help you, I will hold you with My righteous right hand. Isaiah 43:1b-2 Fear not, for I have redeemed you, I have called you by name. When you pass through the waters, I will be with you; and through the rivers, they shall not overflow you. When you walk through the fire, you shall not be burned, nor shall the flame scorch you. Psalms 23:4 When I walk through the valley of the shadow of death, I will fear no evil; for you are with me; your rod and staff, they comfort me.